Aruba is a Caribbean gem. The white sand beaches and crystal-clear blue water make it a legitimate standout. If you thought the Caribbean was all lush tropical foliage, you’re in for a surprise when you see Aruba’s desert landscape. Aruba is arid, but it’s loaded with stunning floral eye candy. Its famed Divi Divi trees act like a natural compass, dipping graciously in a southwesterly direction, given a push by Aruba’s steady trade winds. Hibiscus and wild orchids flourish. Aruban aloe is plentiful and prized. You’ll notice its thick green leaves spiking out all over the island. Aloe is also used to make a variety of island-made beauty products, excellent take-home souvenirs. I love a pristine beach as much as the next person. But what I don’t love is vacationing at resorts without a sense of place. I like my vacations with plenty of opportunities to dive into local culture. I want to know where I am and what differentiates this place from the pack. I want my senses to know I am somewhere specific. Too often, I’ve been at a resort on a fabulous beach yet I am far removed from the local experience. 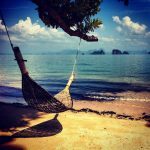 While the generic resort experience is certainly a first world problem, immersive travel is my priority. 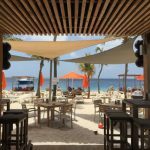 During my recent stay at the Renaissance Aruba Resort & Casino, I had the best of all worlds–beach and town– right at my sun-drenched little fingertips. For a small country, Aruba is a big melting pot of influences. It became an independent country in 1986 but it maintains strong cultural ties with Holland. It is a separate entity within the Kingdom of the Netherlands. It has its own constitution and upholds democratic principles. The Renaissance Aruba Resort is located in the heart of Aruba’s capital, Oranjestad. The town is at the center of Aruba’s action yet it’s graceful and charming, awash with palm trees and candy-colored buildings. It is compact and easy to traverse via pedestrian-only walkways, a new bike share or eco-trolley. Just outside the hotel’s door are a maze of shopping and dining options. Locals speak the two official languages, Dutch and Papiamento, a creole of Dutch, Portuguese and Spanish. Most everyone speak excellent English and many speak French and Spanish as well. All these languages give Oranjestad plenty of cosmopolitan flair. 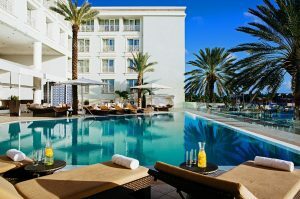 The Renaissance Aruba Resort is divided into two distinct buildings. 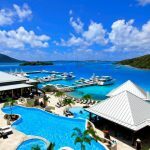 Choose the Renaissance Marina Hotel if you’re looking for a sophisticated, adults-only property (with a casino) for guests over 18 years of age. Just across the street is the Renaissance Ocean Suites. Rooms here are spacious and include fridges, microwaves and living rooms with sofa beds, so there’s room for a crowd. Rooms have either patios or balconies with views of the ocean, pools or gardens. It’s perfect for families. There are plenty of onsite dining options, including a bountiful Sunday brunch at L.G. Smith’s Steak & Chop House that draws a devoted local crowd. Dinner is served nightly. You can’t go wrong ordering one of their premium steaks. 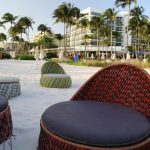 The Renaissance Aruba Resort & Casino has it’s own island exclusively for guests. It’s a tropical dream and the only private island in Aruba. Catch the water taxi from the hotel and in just 8 breezy minutes you’ll arrive at this 40-acre oasis of sun, sand and gentle waves. With a beach for families as well as an adults-only beach, there’s something for everyone. 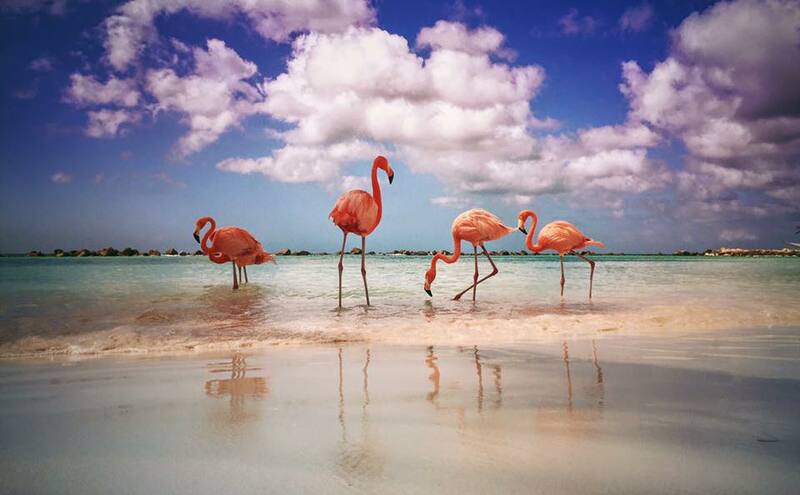 Flamingo Beach is home to several of these lovely namesake birds. Feed them, have your photo taken with them or just watch them strut their delicate pink stuff. 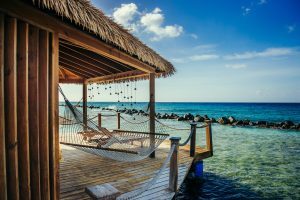 For the ultimate in luxury and privacy, book a waterfront cabana. The on-island spa offers a great massage so it’s a worthy splurge. 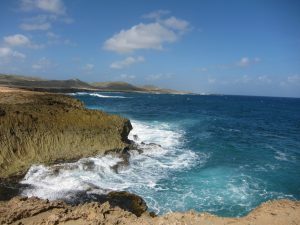 Aruba shares culinary traditions with its neighbors Bonaire and Curaçao. 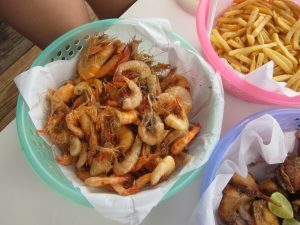 Many of its edible treats exemplify the fusion of cultures that have historically merged on the island. You’ll taste Dutch influences thanks to its many years of being part of the Netherlands Antilles as well as South American (particularly Venezuelan) influences courtesy of geographic proximity. Popular Aruban foods include pan bati, a pancake made from cornmeal and pastechis. Pastechis are something like empanadas, flaky dough filled with a variety of cheeses, meats and veggies and fried until crispy. In a nod to Aruba’s deep connection with Holland, Gouda cheese is a popular filling. It melts beautifully and is the perfect foil for the hot, crispy pastry that envelopes it. 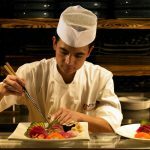 You may sample these delicacies at a number of casual eateries and amped-up food trucks just outside of the Renaissance Resort. Zeeover is a family-run fish shack that serves ultra-fresh boat-to-table fish. It’s located in Savaneta but it’s so worth taking a taxi to eat here. If you dream of briny bites simply prepared, you’ve met your Nirvana. Expect a friendly local crowd. You place your order at the window and sit at picnic-style tables outdoors with a glorious sea view. Choose from the compact menu of shrimp and the catch of the day, often red snapper. Sides include pan bati, plantains and fries. The fish is flash-fried right before your eyes in the outdoor kitchen. The just-swimming seafood is served simply, in a plastic basket. It all pairs divinely with an ice-cold Balashi, Aruba’s homegrown beer.